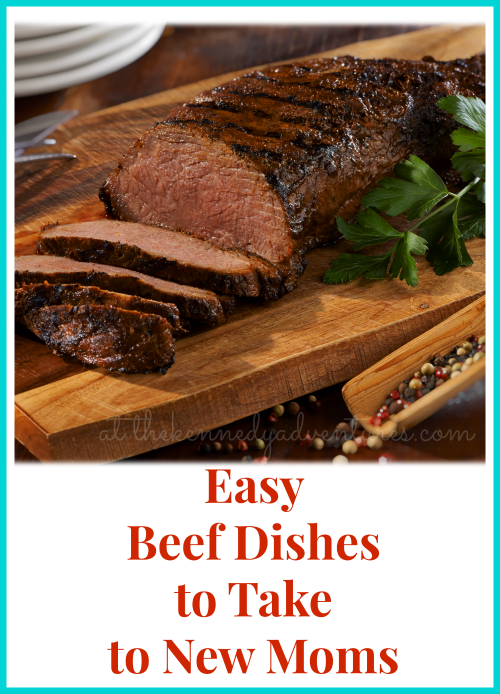 Easy Beef Dishes to Take to New Moms - The Kennedy Adventures! Looking for something meaty? These easy beef dishes to take to new moms are great for boosting iron levels and providing a hearty meal. Even my friends who usually stick to a vegetarian diet have admitted to changing their meal plan temporarily during pregnancy and childbirth. Don’t forget to check with the family first for their preferences! 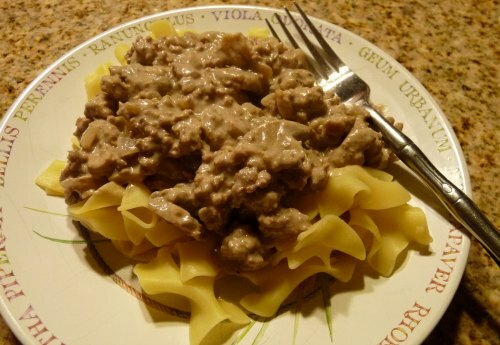 Quick Beef Stroganoff is a delicious choice! You can completely prep it for delivery, or leave the noodles uncooked for a freezer friendly option. 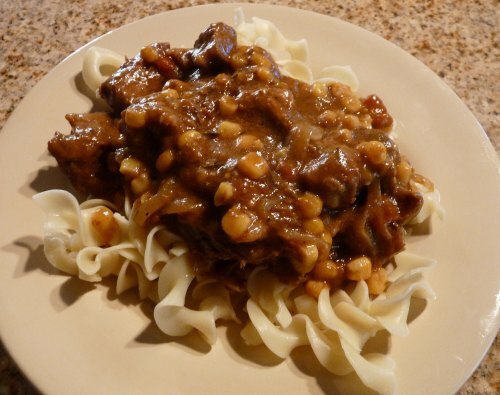 Beef Pumpkin Stew is a warm way to sneak extra vegetables into everyone’s diet! 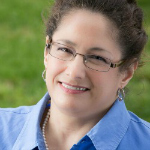 Nursing mothers need great nutrition to keep up with the demands of breastfeeding. Give this recipe a try! Meatloaf is one of my favorite freezer meals. It’s so easy to make several at a time, giving you extra for your family, or for gifting to others. Freezing in Ziploc bags takes up far less room in the freezer and cuts down on the chances of freezer burn. 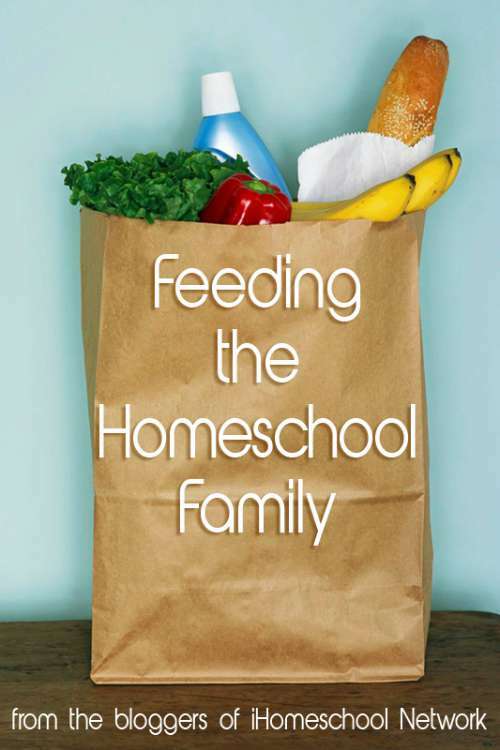 You can get the little ones involved in making this kid friendly family favorite. 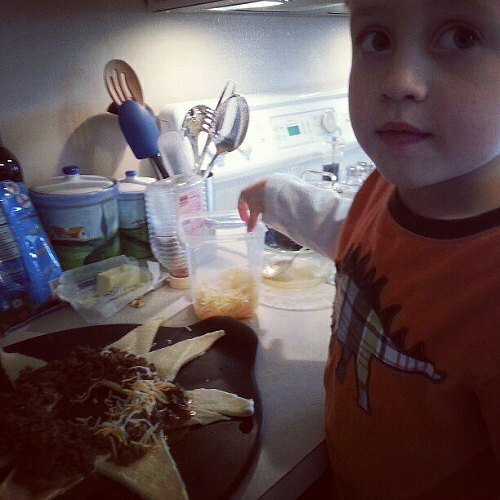 The Taco Ring is perfect for Mexican night! You could prep the meat and vegetables ahead and freeze, just thawing out and adding the crescent rolls when you’re ready to eat. 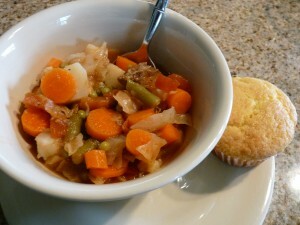 Beef Vegetable Soup is one of the ultimate comfort foods, and is perfect for simmering in the slow cooker all day! Don’t forget the rolls – like this quick Rice Bread recipe! Don’t miss the rest of the Meals for New Moms series – I’m sharing ideas for breakfast, chicken dishes, desserts and more! Ooh, these all sound great. Any new mom would be grateful.